A big theme of this site lately has been "figures I past over at first, but now decided to make." This droid got passed because of his dressing attachment, which I couldn't recreate. 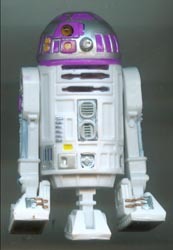 But I do have plenty of spare astromechs, so I made him anyway.